The other day me and my boyfriend went into Norwich to hit the shops so of course I had to pop into Lush and grab a couple more bath bombs, so I thought I would share with you all what I picked up because there was a new bath bomb that I'd never seen before, oooohhhhhh! The first thing that I just HAD to buy was the Lava Lamp Bath Bomb, apparently this has only been in my local Lush store for 3 weeks but I do believe it's been in the Oxford Street Lush for a while but it's definitely new to me! This smells absolutely amazing!!!! If you like strong citrus/orange scents then this will be for you because it smells just like an orange, it's so realistic. 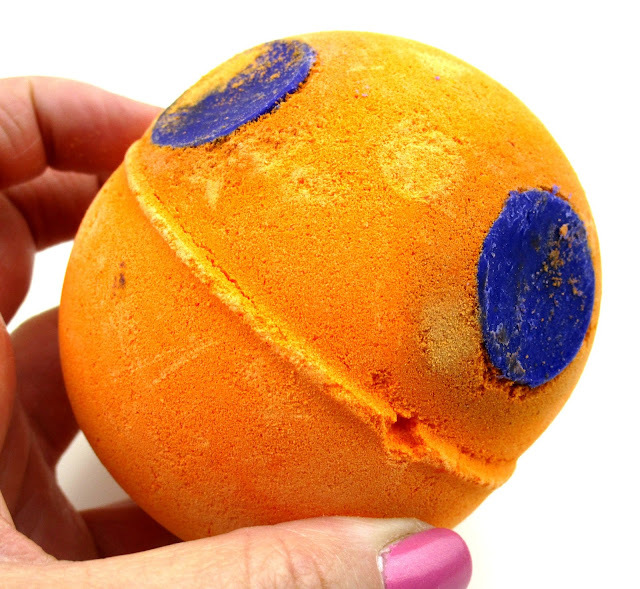 I cant wait to see what this does in the bath, the lady in store was telling me that the purple dots on the bath bomb are actually solid lumps of cocoa butter than melt on the surface of the water and resemble that oily slick that you get inside a real lava lamp. I bet this will be a super moisturising bath bomb too not only because of the cocoa butter but it contains extra virgin olive oil too, I'll definitely do a full review on this one after I've used it! Next I decided to go for the Big Bang Bubble Bar, this has been out for a while now but for some reason it's never made it's way into my basket so I just had have it this time around! This little beauty contains avocado butter to nourish and hydrate the skin, zesty grapefruit oil and refreshing lemon myrtle oil which both give it that uplifting, awaking scent great if your someone who likes a morning bath or if you just need a little perk up! 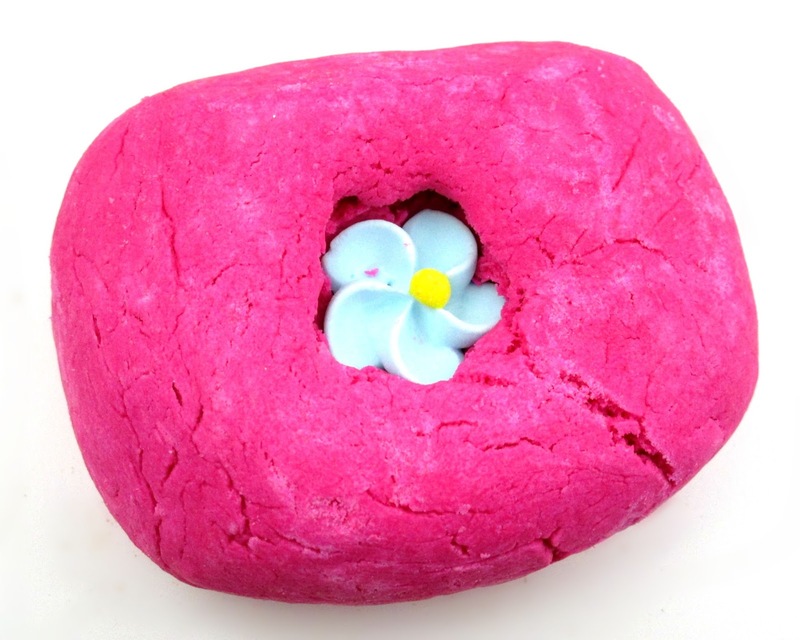 Lastly I had to go for one of my all time favourites, the Creamy Candy Bubble Bar! Arhhh I just love the sweet candy floss scent of this teamed with the moisturising almond and cocoa butter and I'm obsessed with it's gorgeously girlie pink water, it so lovely! 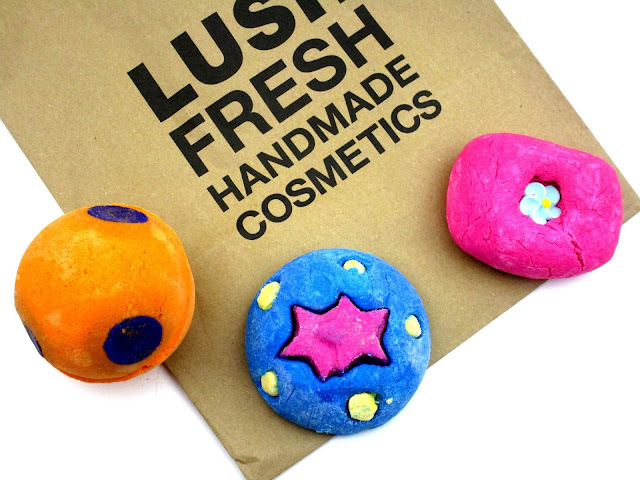 What have you picked up from Lush recently beaut's? I'd love to know beaut's! 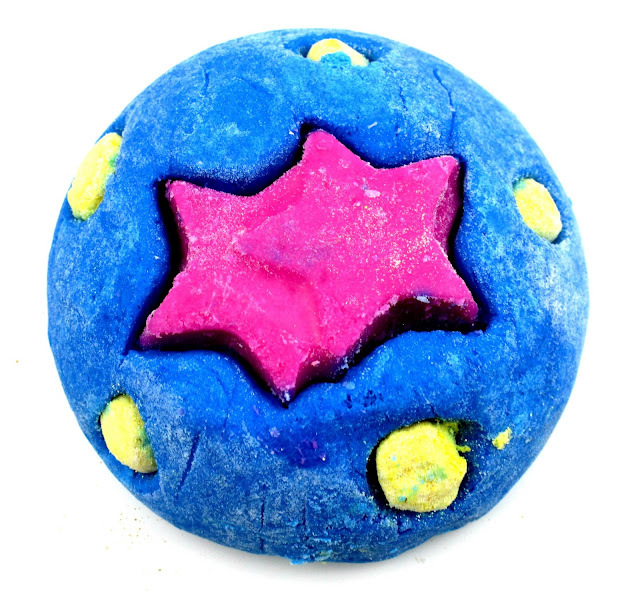 I haven't been to Lush in such a long time and now you make me want to go! The big bang one looks so cute!